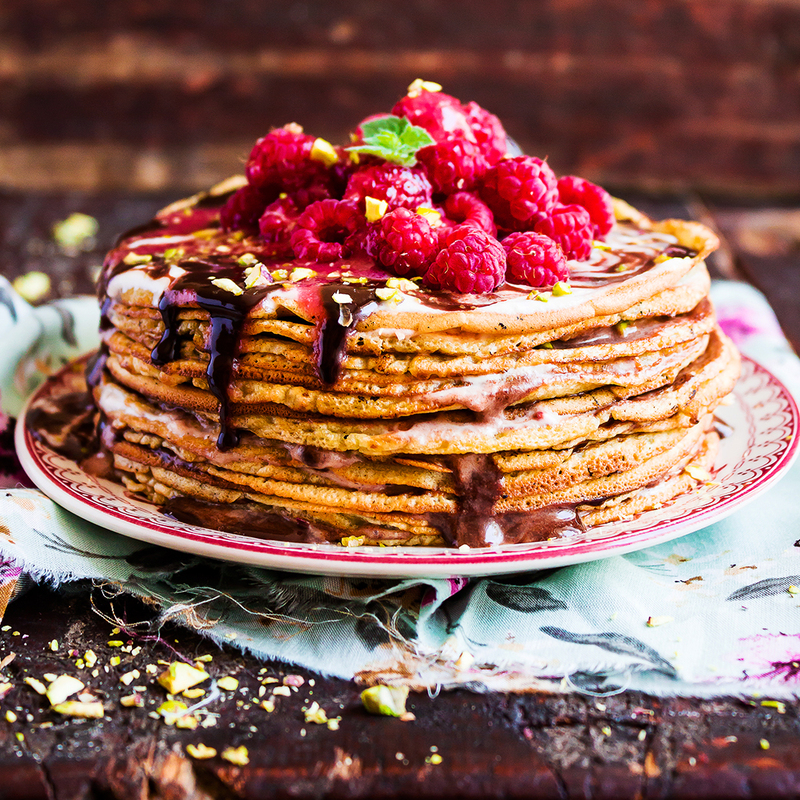 Top these pancakes with berries and yoghurt for a delicious, healthy breakfast. Heat a 23 cm pan over a medium heat. While the pan is heating up, make the batter by mixing together the eggs, banana, baking powder and cinnamon in a bowl or blender. When the pan is hot, add the oil and let it heat through. Pour in 2 tablespoons of batter at a time and cook for 30–60 seconds, until the bottom appears to be set. Flip with a spatula and cook for an additional minute or less. Serve warm and top with yogurt, berries and a pinch of ground cinnamon.